With its unique atmosphere, Venice (Venezia in Italian) – also known as the “Queen of the Adriatic” – is one of the world’s most romantic cities. Attracting around 20 million visitors each year, Venice is a flourishing historic city mostly renowned for its canals. Indeed, the “City of Water” is located in the Venetian Lagoon, which consists of 114 islands. Both the lagoon and the city in itself are considered UNESCO World Heritage sites. With its architecture and one-of-a-kind topography, this Italian jewel is one of Europe’s must-see destinations. However, if you are planning a trip to Venice, try to avoid going during the summer season, probably the worst time to visit this fascinating city. During that period, the weather in Venice is usually pretty hot and humid, therefore attracting a lot of mosquitoes and flies. Fall and spring (with temperatures between 5-15°C) are great times to enjoy Venice and avoid tourist crowds. St Mark’s Square: St Mark’s Square (Piazza San Marco) is Venice’s main public square. The Piazza houses two of Venice’s most renowned monuments: St Mark’s Basilica (Basilica Cattedrale Patriarcale di San Marco) and St Mark’s Campanile (Campanile di San Marco). The Basilica is one of Venice’s most important sights and its byzantine architecture is particularly breath-taking. As for St Mark’s Campanile, it is one of Venice’s symbols. This 98.6-meter bell tower offers spectacular views over both Venice and the lagoon. Before leaving the Piazza, also make sure to have a look at St Mark’s Clock Tower (Torre dell’Orologio), a 15th century building from the Renaissance period. The Doge’s Palace: The Doge’s Palace (Palazzo Ducale) is a gothic palace famous for its arcades overlooking the Venetian Lagoon. The Doge’s Palace was the residence of the Doge of Venice, the leader of the Venetian Republic. The Rialto Bridge: Built in 1591, the Rialto Bridge (Ponte di Rialto) is the oldest bridge that crosses the Grand Canal (Canal Grande). The Rialto district where the Rialto Bridge is located, is also worth a visit, as it is Venice’s financial and commercial centre. The district is mostly renowned for its whole sale and detail markets. The Bridge of Sighs: Built in 1602, the Bridge of Sighs (Ponte dei Sospiri) is an enclosed limestone bridge which spans the Rio di Palazzo. It connected old prisons to the Doge’s Palace, where the interrogation rooms were located. The view from the Ponte dei Sospiri was the last thing prisoners were able to see before going to jail, hence the name of the bridge. Enjoy a traghetto ride on the Canale Grande: Although Venice is mainly renowned for its traditional gondolas, you should be aware that a 40-minute gondola ride costs €80 (CAD$111) and gondoliers are usually known for trying to scam tourists by inflating the official price. Moreover, you will have to pay extra if you want to hear the gondoliere sing. If you are interested in sailing Venice canals at a reasonable price, you can take a traghetto. Traghetti are gondolas that were designed for poor people. The ride is quick (traghetti just cross the canal from one side to another) but cheap (€0.50-CAD$0.69). Another alternative consists in taking a vaporetto, a Venetian water bus. Wander in the city: Wandering in Venice is probably the best way to get to know the city. Forget about your map of Venice for a while and get lost. You will discover unknown parts of the city and get an overview of how locals live. Get as far away from the tourist attractions as possible: you will see a new, different facet of the city. Visit Burano and Murano: There are plenty of islands surrounding Venice that are worth a visit. Among them, Burano and Murano are probably the most interesting. Murano is renowned for its glassworks and organizes glass-blowing demonstrations that are really fascinating. With its colorful houses, Burano is another charming island, although less famous than Burano. You will need to take a vaporetto from Venice to get to these islands. Discover Venice Carnival: The Carnival period is probably one of the best times to travel to Venice. Taking place two weeks before Ash Wednesday and ending on Fat Tuesday, the Carnival of Venice (Carnivale di Venezia) is one of the most famous carnivals in the world. This annual festival is mostly renowned for featuring breath-taking costumes, including Venetian masks, which were aimed at hiding people’s social class. With its one-of-a-kind atmosphere, stunning sights and nice weather, Venice has a lot to offer and will seduce even the most demanding travelers. The nice restaurants as well as the charm and calm of the city (no cars!) will make your holiday in Venice unforgettable. 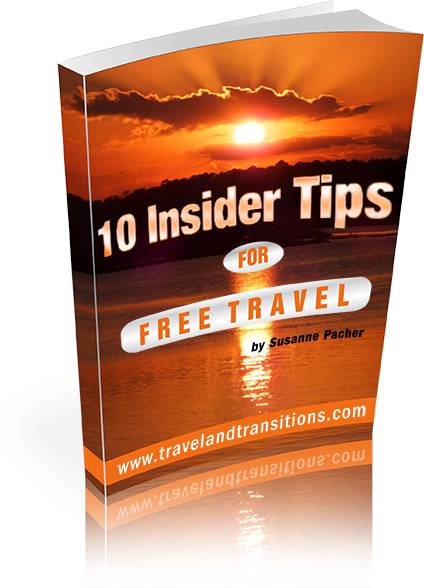 Visit our website for practical travel tips, first-hand travel experiences and interesting interviews.